The area surrounding Paris is rich in cultural attractions and natural beauty. By traveling only a short distance, one feels far away from the crowds, lines, and hustle and bustle of the Parisian metropolitan area. All the sights on this list are about an hour or less (by train or car) from the Paris city center. Tourists can escape to the peaceful countryside, visit charming villages, admire glorious churches, and tour magnificent châteaux. Easy day-trip excursions include the incomparable Château of Versailles, the spectacular Gothic Cathedral of Chartres, the serene abbey of Royaumont, and the wonderfully preserved medieval town of Provins. For those who love Impressionist art, Monet's Gardens in Giverny are a must-see. History buffs will appreciate Saint-Germain-en-Laye for its antiquities museum, the Napoleonic estate of Château de Malmaison, and the National Renaissance Museum in Écouen. For families with young children, an outing to Disneyland Paris is not to be missed. The UNESCO-listed Château de Versailles is a marvel of classical French architecture. Designed by Jules Hardouin-Mansart Versailles, it was the showpiece of King Louis XIV, who believed in absolute power and the divine right of the monarch. The famous Hall of Mirrors was designed to impress the king's courtiers. This extravagant, sparkling hallway has gigantic gilded mirrors that reflect the sunlight, creating a sensational effect. Other highlights of the château include the lavishly decorated Queen's Bedroom, with an exquisite Rococo ceiling, and the Hercules Salon, adorned with the The Triumph of Hercules ceiling painting by François Lemoyne, as well as two masterpieces by Veronese. The Château de Versailles is surrounded by 800 hectares of parkland and formal French Gardens created by André Le Nôtre and considered the finest example of 17th-century French landscaping. Versailles is 20 kilometers from the center of Paris and is easily accessed by train, which takes about an hour. To get the most out of a visit to the Château de Versailles, an organized tour is recommended. A good choice for those who appreciate art and culture, the Versailles and Giverny Day Trip takes tourists to two of the most popular day-trip destinations from Paris: Claude Monet's lovely garden that inspired his Impressionist paintings and the Palace of Versailles. A knowledgeable guide shares historical insights about the extravagant interior of the Château de Versailles, leaving enough free time to wander about the gorgeous gardens. For a more adventurous way to reach Versailles, take the Versailles Helicopter Tour from Paris, which offers amazing vantage points of famous landmarks in Paris and the Palace of Versailles from the air. The beauty of Chartres' Cathedral is said to have inspired faith in the doubtful. This awe-inspiring monument is sure to stimulate appreciation for the glory of medieval Gothic architecture. With its vast nave and brilliant stained-glass windows, the sanctuary has a serene glow. Viewers are awed by the intricate details of the windows, the result of painstaking craftsmanship. Most of the windows date back to the 1200s, which is a true rarity. The immense rose windows are especially stunning. Other highlights include the Life of the Virgin window and the Tree of Jesse window that shows the genealogical tree of Jesus Christ. Because of the historical value of this 13th-century cathedral, UNESCO has listed it as a World Heritage Site. Every evening from early April through early October, the town of Chartres has a spectacular nighttime light show. Chartres en Lumières illuminates the town's historic monuments, including the cathedral, using creative visuals and vibrant colors. The cathedral also hosts the International Organ Music Festival with free concerts every Sunday afternoon in July and August. About an hour's drive from Paris, Fontainebleau is a royal French château at its finest. Surrounded by a lush parkland of 130 hectares, the UNESCO-listed château has more than 1,500 exquisitely decorated rooms. The château was built in 1528 in Renaissance style for King François I, then enlarged by succeeding kings. Napoleon was particularly fond of Fontainebleau but had to sign his first abdication here on April 6, 1814. The château's Grand Apartments still appear as they did during Napoleon III and Empress Eugenie's time. The château has an impressive entrance with a double horseshoe-shaped staircase. The Cour des Adieux courtyard features an equestrian statue of Emperor Marcus Aurelius (a replica of the one in Rome). The château has four museum collections: paintings, furniture, the Napoleon I collection, and Empress Eugenie's Chinese treasures. Equaling the beauty of the interior, the gardens exemplify classic French style, with delightful pools; statues; and a parterre created by André Le Nôtre, who designed the garden at Versailles. The parkland offers opportunities for outdoor activities including jaunts by horse-drawn carriage, boating, and hot-air balloon rides. To see all of the highlights of the Château de Fontainebleau requires at least a half day and could take a full day. A guided tour allows for the most rewarding visit. Many tourists enjoy a day-trip tour from Paris that stops at two of the most splendid castles in France: Château de Fontainebleau and Château de Vaux-le-Vicomte. With its delicate Flemish architecture; narrow, old streets; and quaint canals, Bruges offers the captivating charm of another era. This wonderfully well-preserved medieval town in Belgium is known as the "Venice of the North" and has a rich history, as an important trading port from the 12th to 15th centuries. The town is filled with ornate churches and exceptional art museums, as well as many wonderful little boutiques that sell delicious Belgian chocolates. Although Bruges is in Belgium, it is only about a 2.5-hour train ride from Paris, which makes it possible to do as a self-guided day trip. An easier way to discover Bruges is by taking an organized tour. An excellent choice is the Bruges Day Tour from Paris, which includes a guided walking tour of the town plus a canal cruise. One of the most awe-inspiring spiritual sights in France, the island of Mont Saint-Michel rises out of the waters of Normandy's Baie de Saint-Michel. At the highest point on the rocky mount is the UNESCO-listed Abbey of Mont Saint-Michel, an important medieval pilgrimage site. Known as the "Heavenly Jerusalem," this Benedictine abbey is a marvel of Gothic architecture standing 155 meters above the sea, with graceful cloisters and a majestic church. At high tide, Mont Saint-Michel appears as a distant mystical island, while at low tide, it is possible to walk from the mainland to the island just as pilgrims approached it in the Middle Ages. The entire island of Mont Saint-Michel is well-preserved, with a village atmosphere, ancient cobblestone streets, and charming shops. To see all the sights on Mont Saint-Michel (the abbey's cloister, refectory, and ramparts) takes at least four hours, if not an entire day. Since it's a long drive (3.5 hours) from Paris, the best way to visit is either by staying overnight or taking an organized day-trip tour. The Mont Saint-Michel Tour from Paris is a day-trip tour that includes a scenic drive through Normandy, lunch, and a guided visit to the Abbey of Mont Saint-Michel. The tour also leaves free time to stroll the narrow, old streets; peek into enticing little boutiques; and admire views of the bay. For many American tourists, visiting Normandy's D-Day Landing Beaches and Battlefields is a moving experience. On June 6, 1944, the battles of the D-Day Landing Beaches became the turning point in World War II that allowed the Allies to gain a favorable advantage. Evidence of the wartime bunkers and tanks still stands on the sandy beaches that were landing sites. Omaha Beach is the most famous of the Normandy Landing Beaches and was the scene of the bloodiest D-Day battle. Overlooking Omaha Beach is the largest American cemetery in Normandy, with 9,000 gravestones. Nearby, the Overlord Museum chronicles the D-Day Allied Landings and the Liberation of Paris. The Caen Memorial Center is an excellent place to learn more about the Battle of Normandy and other World War II military history. Another D-Day Museum in Arromanches illustrates the heroic operation of the Mulberry Harbor, one of the most challenging events of the war. While the Normandy D-Day Museums provide an excellent background to the D-Day battles, the best way to explore the Normandy Landing Beaches is by taking a small-group tour. The Normandy D-Day Battlefields and Beaches Day Trip includes stops at Omaha Beach, Arromanches, and the Caen Memorial Center, led by a knowledgeable guide, who shares insights about the D-Day battles and the historical context. An easy day trip from Paris (only 25 minutes by train from Gare du Nord), the grandiose Château de Chantilly is a remarkable Renaissance castle in a unique setting. Surrounded by a "domaine" of woodlands and swampy marshlands, the castle appears to be floating amid many lakes. The château interior features lavish Rococo decor and precious furnishings. Within the château, the Musée Condé displays a vast collection of art that is second in importance to the Louvre Museum, with more than 800 masterpieces of English, French, Flemish, and Italian paintings. The Domaine de Chantilly is also renowned for its expansive garden designed by André Le Nôtre, with his signature French-style flowerbed. A mini-train that tours the gardens is popular with children and the young at heart. The Chantilly estate has several options for meals and snacks: La Capitainerie restaurant, with an elegant dining room and refined menu; Le Hameau restaurant, which serves lunch and afternoon tea in a charming, rustic house of the château's hamlet; and Les Écuries café in the former stables. Visitors may stay at the Domaine's luxurious five-star Relais & Châteaux hotel, the Auberge du Jeu de Paume, for an exceptional overnight experience or simply sample the acclaimed haute-cuisine at the hotel's gourmet restaurant, La Table du Connétable. This sumptuous fairy-tale castle was built for Nicolas Fouquet, who was King Louis XIV's minister of finance and had made a great deal of money by speculation. Fouquet's enjoyment of the property was short-lived. He entertained Louis XIV at a spectacular celebration at Vaux-le-Vicomte on August 17, 1661. Three weeks later, he was arrested for enriching himself from his office and condemned to life imprisonment. Vaux-le-Vicomte was confiscated, along with most of Fouquet's treasures. Despite the unfortunate outcome, the castle has retained its former glory and continues to dazzle visitors. Fouquet's private apartments on the upper floor have been mostly preserved in their original state. The park, designed by Le Nôtre, is a masterpiece of French landscape gardening, with elaborate fountains and oversized statues. The majestic architecture of the Château de Vaux le Vicomte provided the inspiration for Versailles. The largest private estate listed as a Historic Monument in France, the château has been used as the location set for more than 80 film productions. An engaging place to visit, the Château de Vaux le Vicomte has two picnic areas, a casual self-service restaurant, and a romantic fine dining establishment that overlooks the formal gardens. The château looks most enchanting on Candlelit Evenings, every Saturday from early May through early October, when the gardens are illuminated by more than two thousand flickering candles. The château also hosts events throughout the year, such as period costume parties and Christmas festivities. For children, one of the most fun things to do at the château is the annual Easter egg hunt in the gardens. An easy day trip, Saint-Denis lies only ten kilometers from Paris. The Basilique Cathédrale de Saint-Denis is considered the first masterpiece of Gothic art. 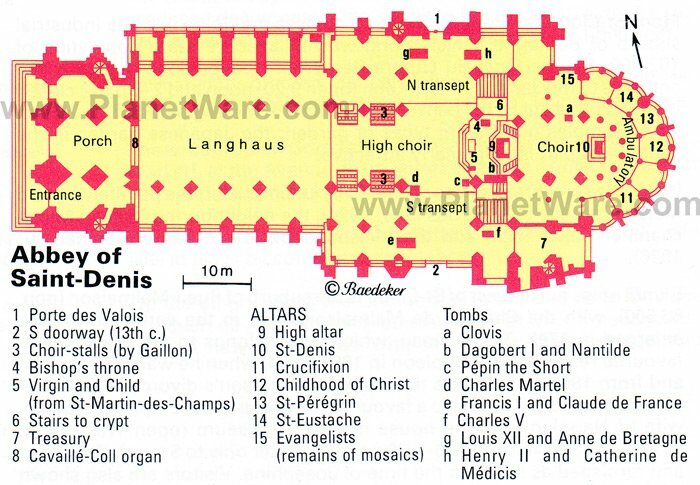 The basilica was created as the burial place of Saint Denis (Dionysius), the patron saint of France, and the French kings. Since early Christian times, Saint-Denis has been an important place of pilgrimage. The legend of Saint Dionysius describes how, after his beheading on the Butte Montmartre, the saint carried his head in his hands to the place where he desired to be buried. A church was built on the spot in the 5th century, followed in the 7th century by the foundation of an abbey. The present building was begun in the 12th century, which marked a transition from Romanesque to Gothic architecture. The spacious, high-vaulted nave offers a serene sanctuary for spiritual prayer. The choir was created in High Gothic style known as the "architecture of light" for its feeling of airiness. The basilica is also renowned for its 12th-century stained-glass windows. 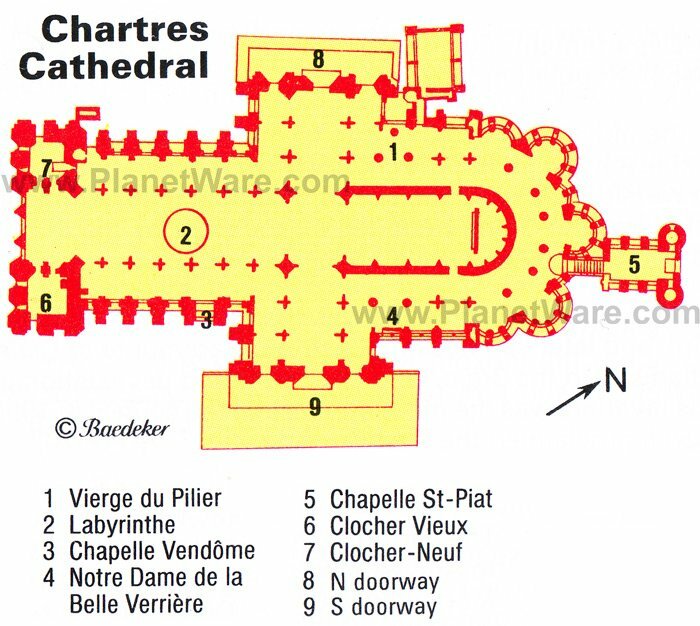 The architecture of the Basilique Cathédrale de Saint-Denis provided a model, which was followed by Chartres, Senlis, and Meaux Cathedrals. Impressionist art lovers will appreciate a visit to Giverny, about 75 kilometers from Paris (less than 45 minutes by train). In a beautiful setting on the Seine River, the village of Giverny is most famous for its association with Claude Monet. The artist discovered the beauty of Giverny in 1883 and stayed here for thirty years. During the same time, other artists were attracted to the area and were influenced by Monet's techniques of painting in nature. The top attraction in Giverny is Claude Monet's House, a charming countryside retreat where Monet painted his renowned Water Lilies painting. Tourists can see the water lily pond, with its iconic Japanese bridge, and wander about Monet's blossoming flower garden. For an insider's tour of Claude Monet's house and gardens, take the Skip the Line: Giverny and Monet House Half-Day Trip from Paris. On this five-hour tour, a knowledgeable guide leads a walking tour through the gardens, pointing out the weeping willows, orchids, and water lilies that inspired Monet's paintings. For those interested in visiting both Versailles and Giverny on the same day, an excellent choice is the Versailles and Giverny Day Trip, which stops for lunch at a charming riverside restaurant outside of Giverny. Surrounded by ancient fortified walls, Provins was an important merchants' town with bustling trade fairs during the 12th and 13th century. The 13th-century Tithe Barn, a typical Provins building with a vaulted cellar, was used as a warehouse to store goods during markets. A UNESCO World Heritage Site, Provins boasts more than 50 listed historic monuments within the old town. The Ramparts and fortified gates built in the 12th and 13th centuries are a top attraction. There are five kilometers of 25-meter-high walls surrounding the town, which were built by Count Thibaut IV of Champagne. Another must-see sight, the Tour Cesar, is a 12th-century tower that served as a fortress under King Henry the Liberal; the building exemplifies medieval military architecture and houses the Saint-Quiriace Collegiate church (which was never completed). The most noteworthy church in Provins is the 11th-century Eglise Saint-Ayoul, which features a bright and inspiring sanctuary. Saint Ayoul's relics made the church a pilgrimage site in the Middle Ages. The Maison Romane (Romanesque House) is the oldest edifice in Provins and houses an excellent antiquities collection including Merovingian sculptures and Gallo-Roman tiles and pottery. Provins is also famed for its trouvères, the troubadours of Northern France. To fully discover this medieval town and learn about its fascinating history, take the guided Provins Day Trip from Paris. This full-day tour is led by an informative guide, who points out the historical monuments and allows time to wander the town's quaint cobblestone streets. As an added bonus, the tour features a unique show of equestrian and falconry arts in the tradition of hunting arts that date back to the Middle Ages. A perfect day trip for families with kids, Disneyland Paris is a gigantic fairyland of fantasy and adventure with more than 50 rides in five magic lands. The main attraction in Fantasyland is Sleeping Beauty's Castle. The story of Sleeping Beauty is depicted in stained glass and tapestries, while the vaulted cellars are occupied by a fire-breathing dragon. Other favorite areas are Snow White and the Seven Dwarfs, the Mad Hatter's Tea Cups spinning ride, and it's a small world cruise. Children love to fly with Peter Pan over London to Never Never Land, wander through Alice's Curious Labyrinth, soar in the air with Dumbo the Flying Elephant, travel through Fairyland on a colorful boat, and explore the swashbuckling playground of Pirates' Beach. Disneyland Paris has seven hotels and more than 50 different restaurants. It's easy to arrive here from Paris by RER train (the ride takes about 45 minutes). In the suburb of Rueil-Malmaison, the Château de Malmaison (now a museum) is a worthwhile and easy excursion from central Paris. The château was built in 1620 in Early Baroque style and was acquired in 1799 by Joséphine de Beauharnais, Napoleon's first wife. After being divorced by Napoleon, she lived here alone. As her private residence (rather than an official palace), the château has an intimate feeling despite the grand Empire style. Joséphine used her home to host social gatherings and concerts. Joséphine also took an interest in landscaping and botany. Reflecting this passion, the château has a beautiful garden filled with roses and plants that grew there during Joséphine's time. The Abbaye de Royaumont is a Cistercian abbey surrounded by dense woodlands in a peaceful setting that feels much farther away than 49 kilometers from Paris. The Royaumont Abbey offers a welcome retreat in nature and a place for spiritual contemplation. Founded in 1228 by King Louis IX (Saint Louis), the abbey was created as a place of theological study. Visitors can take a tour of the beautiful Gothic abbey and see where the monks prayed, read holy texts, and prepared meals in the refectory. The old sacristy has been converted into an intimate chapel. A highlight of the abbey is the grounds, including a serene cloister, idyllic gardens, and an expansive park, which inspire relaxation and meditation. For those seeking a pampering weekend experience, the abbey offers hotel accommodations (on Friday and Saturday evenings) and fine dining in a gorgeous 13th-century vaulted hall. The restaurant is open for dinner on Fridays and Saturdays and for lunch on Sundays. This exquisite history museum lies 20 kilometers from Paris in the Château d'Écouen, an elegant Renaissance château built between 1528 and 1555 for the Lady Anne de Montmorency. The château epitomizes the architectural style and interior decor of the 16th century, making it the ideal venue to house a Renaissance museum. The renowned collection includes Renaissance decorative arts (furniture, ceramics, stained glass) as well as paintings and tapestries. One of the highlights is a tapestry that depicts the history of David and Bathsheba; another masterwork is the 16th-century Jupiter and Latona tapestry, a piece once owned by Diane de Poitiers. The museum displays a collection of armory, which provides insight into the military history of the Renaissance. The museum also hosts exhibitions throughout the year. Visitors will want to spend some time exploring the lovely grounds. The château property includes 19 hectares of gardens surrounded by more than 100 hectares of verdant parkland. The birthplace of the composer Claude Debussy and King Louis XIV, the town of Saint-Germain-en-Laye boasts one of the most beautiful castles in France. In the 12th century, King Louis VI built a castle here on a plâteau above the Seine River. It was pulled down and rebuilt by King François I, leaving only the keep of the old castle and the adjoining Chapelle Saint-Louis (predecessor of Sainte-Chapelle in Paris). The Chapelle Saint-Louis was begun in 1245 and is one of the earliest High Gothic buildings in the area. The Château of Saint-Germain-en-Laye houses the Museum of National Antiquities, which has an excellent collection of archeological finds and prehistoric art from all over France, spanning the Paleolithic era (including the Venus of Brassempouy) to the Bronze Age and Celtic and Gallo-Roman times. The château also features twin terraces and an English garden designed by André Le Nôtre. From the terraces, there is a magnificent view across the Seine River towards Paris. The charming village of Auvers-sur-Oise was a favorite destination of many Impressionist artists, who came to enjoy the beautiful setting and capture the scenery in their paintings. About a one-hour drive or train ride from Paris, the village takes visitors into the quaint world of the French countryside. The town's must-see site is the Eglise Notre-Dame d'Auvers, a Romanesque church built in the late 11th century. Perched at the top of the village, this church was immortalized by Vincent Van Gogh in his painting Eglise d'Auvers. There is a statue of Van Gogh by the sculptor Zadkine in the town's Parc van Gogh. For those seeking the trail of Vincent van Gogh, the Auberge Ravoux, also known as the Maison van Gogh (House of Van Gogh), is where the artist rented a room for bed and board beginning on May 20, 1890. The Ravoux Inn no longer has rooms available but has retained its restaurant with the same decor of a 19th-century artists' café. Van Gogh sat at a table at the back of the dining room. The restaurant serves classic French cuisine based on Arthur Ravoux's traditional recipes, using local ingredients from the Auvers-sur-Oise market. Another historic monument, the Maison-Atelier de Daubigny displays paintings by well-known artists, including Daubigny, Corot, Daumier, and Oudinot. On the outskirts of the town in a pristine forest, the exquisite 17th-century Château d'Auvers-sur-Oise is surrounded by lovely formal French gardens. The château has a contemporary-style restaurant that serves a seasonal menu for lunch and an innovative multimedia exhibit, the "Impressionist Vision" designed as an immersive experience to teach visitors about Impressionist art. Nestled in the dense woodland between Versailles and Chartres, this glorious château boasts more than 20,000 hectares of parkland. The park offers pleasant walking trails through the refreshing forest of Rambouillet. Although the Château de Rambouillet is the summer residence of the President of the Republic, it is open to visitors. An easy day trip from Paris (66 kilometers away), the château allows for an appreciation of French history and culture. The château was built in 1706 for the Comte de Toulouse. In 1783, the château was acquired by King Louis XVI, who used it as a hunting lodge. He created the Laiterie de la Reine, a dairy built for Marie-Antoinette that resembled a Greek temple, and established a sheep farm on which merino sheep are still reared. Napoleon made the château his residence, and since 1959 it has been a part-time residence of the French President and is occasionally used for ministerial meetings. The richly decorated interior features fine Delft tiles and period furniture. Notable rooms are the 16th-century Salle de Marbre (Marble Hall), the 18th-century Council Chamber, the bathrooms installed by Napoleon in 1809 and the Ballroom with Aubusson tapestries. Brimming with Old World charm, this small historic town lies about 50 kilometers northeast of Paris. Senlis was an important religious city (the see of a Bishop) from the 3rd century until 1790. The old town is dominated by the majestic Cathédrale Notre-Dame de Senlis, constructed between 1153 and 1184. This awe-inspiring cathedral represents various Gothic styles, as the edifice was renovated in the 13th century and the 16th century. The richly carved main doorway depicts the triumph of the Virgin. The beautiful interior, dating to the 12th century, is one of the earliest Gothic naves in France. Near the cathedral are the remains of the town's Gallo-Roman walls and of the vestiges of a medieval castle, the Château Royal. In the park of the Château Royal is the Musée de la Vénerie (Hunting museum), which illustrates the art and history of hunting; the museum displays weapons, costumes, hunting horns, and trophies. On the western outskirts of the town are the remains of an ancient Roman amphitheater.